Download Cocktail Sessions PSD Flyer Template for Free. This Cocktail flyer is available for free to download. 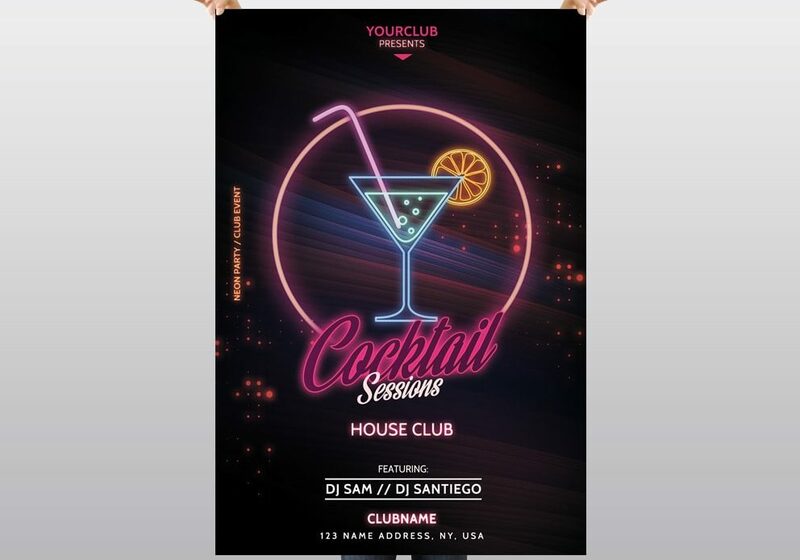 Cocktail Sessions Flyer is suitable for any cocktails events and nights, club party, music party, dj promotion, glow and neon party and other events.